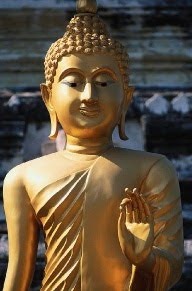 For my Buddhism Examiner position I published an article on the Five Precepts today. I have been approaching the initial Buddhism Examiner position by writing about core beliefs of Buddhism and plan to take the articles in multiple directions as I progress. I then wrote a similar article, but longer and a bit more involved, for Suite101, trying to expand on the topic a bit as it's one of my favorites.